An MRCM (Machine Readable Concept Model) Module Scope Reference Set specifies the set of MRCM reference sets that should be applied to the content in each module. Within a SNOMED CT Edition, the MRCM rules applied to the included modules must be consistent, to ensure data integrity within an edition is maintained. 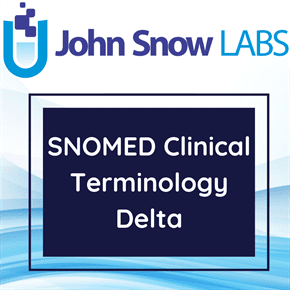 SNOMED CT (SNOMED Clinical Terminology) provides a common language that assists with the electronic exchange of clinical health information. It enables a consistent way of indexing, storing, retrieving, and aggregating clinical data across specialties and sites of care. SNOMED CT Can be mapped to other coding systems, such as ICD-10, which helps facilitate semantic interoperability. A Delta release contains only those component versions created, inactivated or changed since the previous release. The ‘Delta’ release is much smaller than a ‘Full’ release and is ideal for updating a ‘Full’ release of the previous version. Adding a ‘Delta’ release to the previous version’s ‘Full’ release will update the installation to a ‘Full’ release of the current Version. In addition to 363 new concepts specific for the US, the March 2018 SNOMED CT US Edition also contains all of the content from the January 2018 SNOMED CT International Edition. Approximately 200 requests for terminology additions and updates were submitted via the US Content Request System (US CRS) to support US clinical health information data exchange.